Posted on March 18, 2018 by LICFF wrote in Blog. 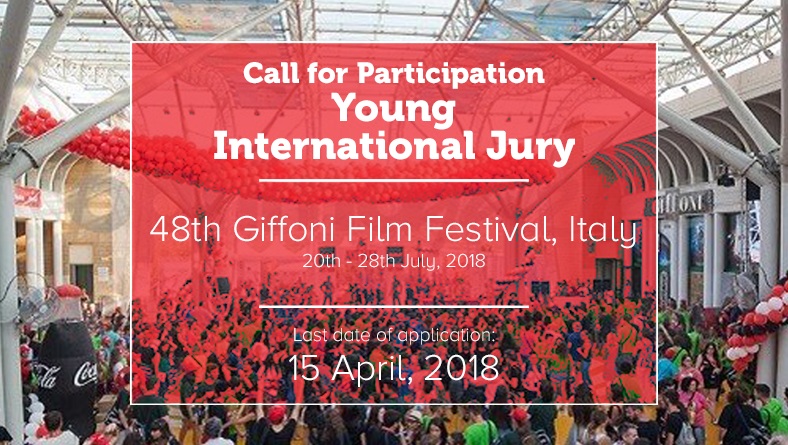 The Little Art through its project Lahore International Children’s Film Festival is selecting three young people to represent Pakistan and become the member of international jury in 48th Giffoni Film Festival, Italy (20th – 28th July, 2018). Since the last Five years, we have been taking children’s delegates to international children’s film festivals in Giffoni (Italy), Doha (Qatar) and Isfahan (Iran). The Giffoni International Film Festival is the largest children’s film festival in Europe, and possibly the world. It takes place in the little Italian town of Giffoni Valle Piana in Campania, Southern Italy. Over 4,800 children attend the festival from 39 countries around the world. The cost of the stay, food and local travel for total stay (11 days) is sponsored for the selected children. The participants’ will bear cost of return flight, visa, health insurance and management fee (Total amount of Rs 250,000/-).